There’s lots to do on and near the water besides sun and swim. We have listed some favorites below. Most are located in or near Brewster. 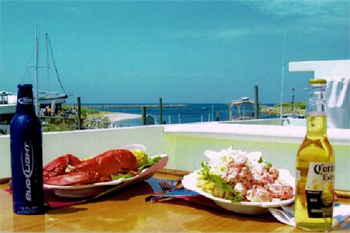 Lunch, Dinner and Sunset cruises depart from Sesuit Harbor, Dennis, located just over the Brewster/Dennis border on 6A. A Best of Cape Cod Life winner. Delicious and fun! You might prefer to find the food yourself. 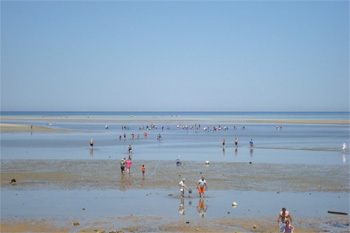 The low-tide Brewster flats of Cape Cod Bay are loaded with shellfish. It’s fun finding them and preparing them for a meal back at the cottage. That’s just Cape Cod authentic! Quahogs, steamers, scallops, oysters and more lie at your feet off our private beach. For a small fee, a one-week permit allows you to take your fill. There are also scheduled shellfishing events spring, summer and fall. Looking for action? Here are some fun water activities that will be the highlight of any day. 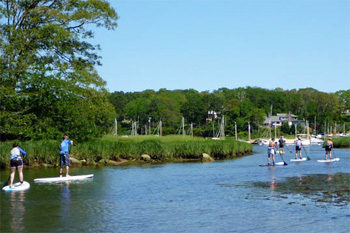 From paddle & play, to paddleboard yoga to eco-tours, you can enjoy the water in new and interesting ways. Enjoy the ponds, rivers, sanctuaries and seas in a kayak. Take it up a notch with a sunset excursion or an outing to a local wildlife refuge. Here’s a favorite spot for locals and visitors alike. Historic, relaxing and fun for the whole family. Lots to do and see here – for everyone. Visit our Naturescape gallery, featuring local New England artists, whose work reflects the nature of the Northeast. Visit the Butterfly House and the Aquarium. The Museum exhibits include honeybees, native bird collections, archaeology, People of the Land – Native American Wampanoags, and lots more. 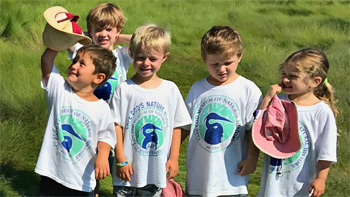 Departing from Chatham (12 miles away), the Atlantic White Shark Conservancy runs excursions and a portion of the proceeds will be donated to the Conservancy to help fund ongoing white shark research and education programs. 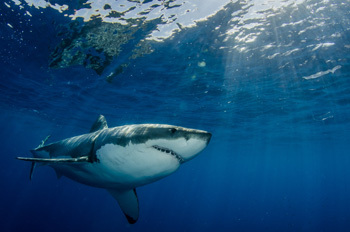 Watch research teams as they study the sharks and their prey off the waters of Chatham.